Ornamental grasses are now making a popular comeback in landscapes. 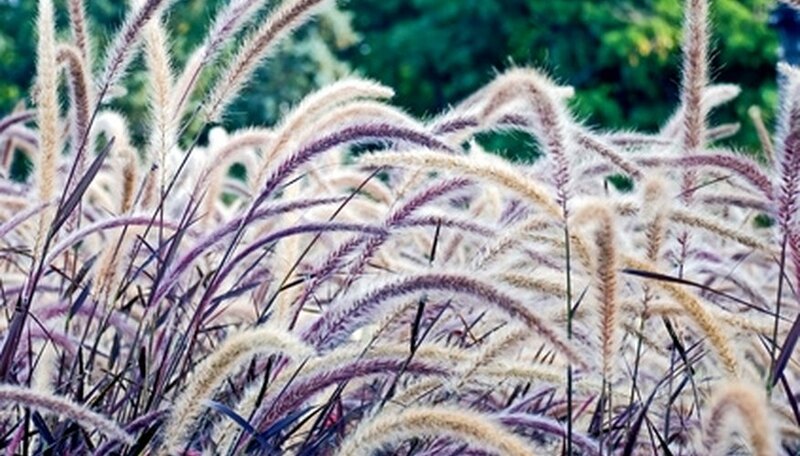 There are countless ornamental grasses to choose from with a near infinite variety in shape, size, flower types and color. Cool season grasses are popular in the cooler regions, while the warm season grasses are suited for the warm areas. Ornamental grasses range in height from 6 inches to over 14 feet and can be used as ground covers, accent plants, screens, border planting or as companion plants with a range of flowering perennials and annuals. Red baron blood grass (Imperata) is also referred to as Japanese blood grass and has bright red foliage. The grass grows to a mature height of 1 to 1 ½ feet with a 6 inch to 1 foot spread. Red baron blood grass is a native of Japan and is popularly used as a border planting in landscapes. With a slow growth rate, the grass spread by rhizomes and gradually forms small groups. The ornamental grass does not produce any flowers and has no serious disease or pest related issues. Plant in areas of full sun and in moist, well-drained soil. Annual red fountain grass (Pennisetum setaceum) has an upright growth habit and red leaves. The grass grows to a mature height of 3 to 4 feet and is propagated with cuttings and division. The flower heads of the grass are also red. Annual red fountain grass is not hardy in the northern areas and is commonly used as an accent plants in annual plant borders. The grass has a rapid growth rate and forms large clumps. The ornamental grass can be overwintered by digging up and bringing the crowns indoors during late fall and early winter. Red switch grass (Panicum virgatum 'Rotstrahlbusch') is a native ornamental grass of Japan and is often considered one of the best red ornamental grasses with bright red tinged foliage and burgundy seedheads. The grass has an upright growth habit and is popular choice for borders. the grass is a native of the open grounds and prairies in Canada, United States and Central America. Red switch grass grows to a mature height of about 12 inches. Plant in areas of full sun and moist soil. The grass adapts well to a range of soils and is well tolerant of drought. Recommended time of planting is during late spring and early summer in warm soil.